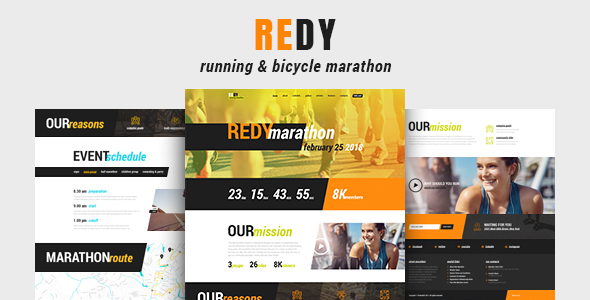 Redy is a responsive & colorful Sports WordPress Theme designed for all kinds of athletes, sportsman, trainers, coaches, runners, sportsmen and all healthy lifestyle people. It will also fit contemporary blog, magazine, marathon runner business, healthy lifestyle coach, fitness coach, jogging trainer or fresh & clean sportsmen health store, shop. Redy is great for all kinds of athletics sports: amateur or professional, kids or adults, rookie or veteran. Redy is made compatible with the powerful Elementor to give you a chance to add more creative layouts. Also it works with Timetable and Event Schedule, The Events Calendar. Also it is compatible with Essential Grid, Contact Form 7, MailChimp & TRX Addons.